PT Jamkrida Jakarta - Jamkrida Jakarta is a reputable regional government owned company which is engaged in financial services. Jamkrida Jakarta has core business competencies in providing credit guarantee for micro small and medium enterprises and cooperatives (UMKM-K). 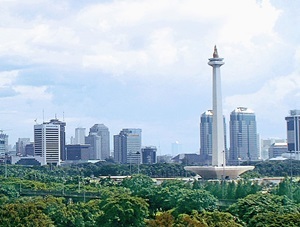 Jamkrida Jakarta is majority owned by Provincial Government of DKI Jakarta. According to Jamkrida Jakarta's company profile as cited by JobsCDC.com, Jamkrida Jakarta is 98.3% owned by Provincial Government of DKI Jakarta and 1.7% by PD Pasar Jaya. Jamkrida Jakarta was formed to support the government programs in the field of development for Micro, Small, Medium Enterprises and Cooperatives, especially in the Province of DKI Jakarta. PT Jamkrida Jakarta is based in Jakarta and its head office is registered at Gedung Dinas Teknis Abdul Muis Lt 14 - Jl Abdul Muis No 66 Gambir, Jakarta Pusat 10160. Minimum 3 years of experience in managerial level in sharia finance industry. Minimum 3 years of experience in branch head position or managerial level in finance industry. Minimum 3 years of experience in managerial level in HR & general administration. Minimum 3 years of experience in managerial level in business cooperation, claims & subrogation. Minimum 2 years of experience in the field of Business Management Consultancy and Business Development. Minimum 2 years of experience in Bank Guarantee business. Minimum 2 years of experience as Secretary of the Board of Directors. Foreign language proficiency is an added value. Good looking with minimum height of 165 cm. Minimum high school education (SMA). Minimum height of 165cm and ideal weight. JobsCDC.com now available on android device. Download now on Google Play here. Please be aware of recruitment fraud. The entire stage of this selection process is free of charge. PT Jamkrida Jakarta - SMA, D3, S1 Internship, Staff, Manager Jamkrida Jakarta October 2017 will never ask for fees or upfront payments for any purposes during the recruitment process such as transportation and accommodation.